In this exclusive interview on “Ask An Expert”, we sit down with former CEO, and current Vice Chairman of Nok Air, Patee Sarasin. In 2004, Patee never imagined his unique vision for marketing Thailand’s newest airline would land him the role as CEO. But after taking a leap of faith, this advertising executive and gifted musician met the challenge head-on. his post first appeared on NateAnglin.com. A place where Skylink's CEO talks about how to grow your mind, body, and career to make it in business and in life. There are 3 important life lessons you’ll learn from the most outspoken airline CEO in the world, Patee Sarasin. I first met Patee...via email...when he was at Boeing's facility. A rather long trip from Thailand so you’re probably thinking, email? Really? In this Ask an Expert interview, I speak to Kamil Iwankiewicz. As an aircraft engineer he got his engineering wings from playing with legos and his Grandfather. We also cover how effecient Ryanair is, the top trait for engineers and much more. You're no stranger to an AOG. You despise them. They make you sweat. They make you mad. They may even make you cry. No matter how much work engineers and technicians put on the aircraft, or how much time you spend planning, AOGs still occur. There’s no luck involved. They’ll happen and we’ll need to fix it. I recently saw an AOG for a slow moving, non-stocked expendable. Anything is possible. It’s madness I tell you! The time has come where we "Ask an Expert" questions that you all have been eager to have answered. 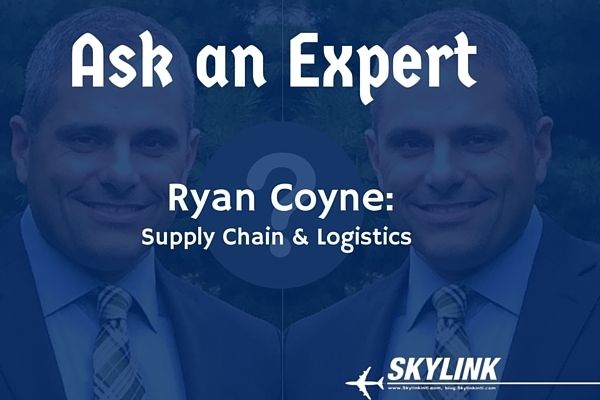 We interviewed Ryan Coyne who is the Chief of Logistics Operations for the United States Air Force. To put it simply, he’s no joke. With a $17.5 billion dollar supply chain under his belt, we would say he knows a thing or two about managing supply chain & logistics. 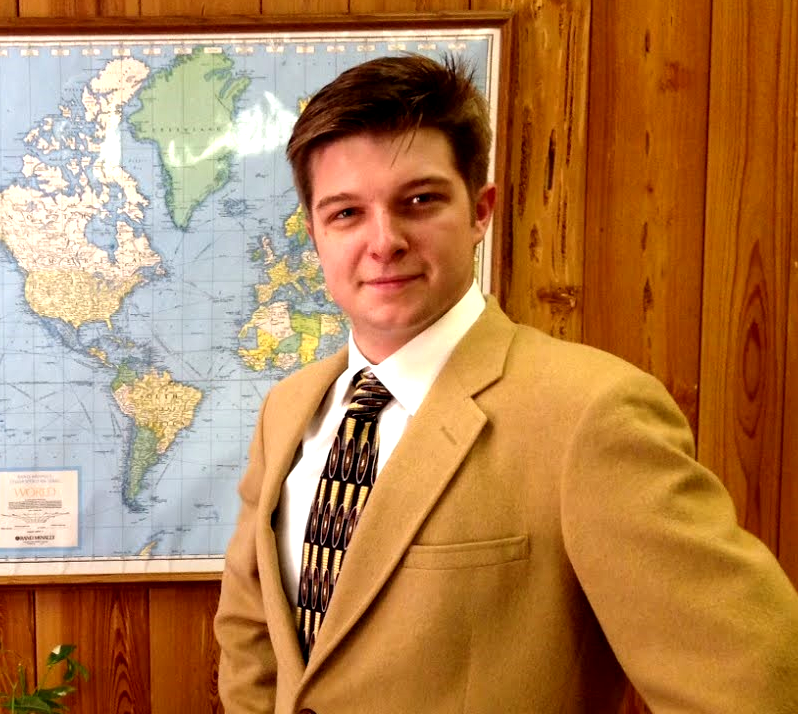 Ryan leads a team of 25 who span supply chain, transportation, planning and QA professionals. If that wasn’t enough, he oversees sustainment solutions for 4500 aircraft and 1.8 million vehicles and equipment assets all over the world. Without any more hesitation, let’s see what this supply champ has got to say. The discussion begins at 3:03 with Ryan sharing his responsibilities as the core logistics readiness officer and we quickly learn that he has been involved in supply chain for about 19½ years. That's almost 2 decades of knowing all there is to know about supply chain. Ryan explains to us that although his team moves parts around the world they deal more with the end user. Due to the fact that he deals with maintenance group providers to even customer complaints, Ryan considers his work on the retail side of things. We asked Ryan how he stays organized with such volume and at 10:02 he explains the organization of his wing and compares the ease of their system to Amazon. Below him is a wing of 25 staffers that work with 3 major commodities, which are aircraft parts, petroleum, and equipment items & parts for vehicles. His staff of 25 has 3 groups below them of 100-200 folks a piece. Each team has a different role or specialty. From their $17.5 billion dollar supply chain, $8-9 billion alone comes from aircraft parts. Ryan and his wing goes through about 5½ million customer transactions a month. That's more transactions than most companies receive in a year. Ryan stresses the importance of taking advantage of demand patterns. Due to the fact that his wing can move inventory back and forth they skip the step of asking retail teams and do it themselves. At 14:03 Ryan shares with us the importance of communication within his team and how having an enterprise view of their supply chain has worked for them. Lastly we discussed with Ryan what he believes makes a good leader. At 20:49 Ryan shares that he looked to his coaches back in high school for leadership skills. Ryan believes that if you aren't leading by coaching and collaborating then you will lose trust and your staff will do things because they have to and not because they want to. He then goes on to explain that a leader must give people a chance to learn new skills, treat their staff calmly, with dignity, and look out for them. At 26:45 Ryan adds that when it comes to motivating the younger generations a good leader must ask a lot of questions leading them to getting the right answer. This way they learn on their own and their time is protected. In his line of work they don't receive bonuses but as a leader when you give associates back time, that's a bonus worth gold. What brought you to Skylink? I was looking for a position in the aviation field and they gave me a chance. I love the team and the role is great too! What do you love about aviation? The freedom. I've only been at the controls of two aircraft, but I always enjoy being in the sky and having a full view of the world below and everything above. My hero would be my dad. Because he has always done the best with what he was given and that's a principle that has definitely helped me think critically when facing any challenge. My favorite book would be anything history related. I like to know what's happened in the past and how it influences the norms that we have now. This is deep! I would have to say having the courage to say and do the right thing at the right time is always moving. What’s your favorite drink currently in your fridge? Chocolate milk. Always gives me energy when I need it. What’s a tool or trick you use to make life easier? A trick I use to make life easier is to make a list of what I need and knock it out little by little. If you were a superhero, what would be your name and superpower? If I were a superhero I would want the power to speak things into existence. My name would still be Ray Sweet. Aviation is in my blood. With both parents being pilots and first hand experience with an experimental aircraft build/flight, Skylink catered to my love of aviation. The ability for man to break the laws of nature and push the boundaries of physics and speed. My father is my hero. He was a pilot for United Airlines for 20 years and for Eastern Air Line before that. We built a Vans Aircraft RV-4 in our basement thanks to his wild obsession. He put his heart and soul into the aerospace industry and it gave him back everything he could ever want and more! My favorite book is Blink by Malcolm Gladwell . I enjoy trying to understand one's perception of reality and how they process their decisions. Nature. I love taking a moment to appreciate the world we live in. Nothing like some southern sweet tea. "Don't take life too seriously, you'll never get out alive." Sure its a quote from a movie, but its had more of an affect on my life then most conversations I've had. SuperDude, and the ability to move objects with my mind. We had the pleasure of interviewing our good friend Zoe Holmes. She serves as Quality Assurance Executive at Berjaya Air, Malaysia. Her primary focus is auditing internal and external aviation organizations and conducting Human Factor training course. She is not one to mess with and knows what she's doing. Here is our conversation. 1. What is your definition of Quality? Quality refers to the engineering activities implemented in a quality system so that requirements for a product or service will be fulfilled. Quality also is the systematic measurement, comparison with a standard, monitoring of processes and an associated feedback loop that confers error prevention. Quality assurance includes management of the quality of products, services and inspection process. 2. What are your biggest frustrations when it comes to quality assurance? There are many activities involve ensuring the aircraft, technical personnel and engineering compliance with company standards and Aviation authority Department of Civil Aviation Malaysia regulations. Personnel did not follow the procedure and do not take the job task seriously are the biggest frustrations when it comes to quality assurance. o Is it difficult to adapt to these situations? It is such a hassle when these situations happened and it is taking a lot of paperwork to submit to the aviation authority (Department Civil Aviation a.k.a DCA). o How could your vendor’s and partner’s best service you during these problems? Cooperation and assistance from the vendor and partners are the best service during these problems. 3. What’s one strategy you couldn't live without to keep your quality process running smoothly? QA must understand the job functions of department or vendors before running the audit and prepare the checklist. So the audit checklist based on the job functions is one strategy to facilitate the audit process. o What is Human Factors? Human factor is very broad field and when refer to the aviation maintenance, human factor is multidisciplinary effort to generate and compile information about human capabilities and limitations in the workplace. And apply that information to equipment, system, facilities, procedure, jobs, environment, training and personnel management for safety and efficiency as objectives. o What are the key strategies in deploying Human Factors to your maintenance personnel? The training section which is under Quality Assurance Department provide the human factor initial training to all certified aviation maintenance engineers (AME) and aviation maintenance technicians (AMT) who have had no previous training. The recurrent training or sometimes called “continuation” is taken after the initial training to refresh them every year. o How do they respond to Human Factors? Most of aviation maintenance personnel have positive feedback when they know the safety is their responsibility and they feel they are encouraged to speak up and take necessary actions to prevent unsafe conditions. o What’s one thing you see the most problems with in the Human Factor field? The most problems I see are complacency. Some engineers may specialize in a certain aspect of maintenance whereby the engineer may skip steps or fail to give attention to steps in a procedure due to the repetitive maintenance task. There is a list of the most common sources of problem or errors in aviation maintenance. This list is known as “The Dirty Dozen” and it has been widely acknowledged in the aviation maintenance community. They are lack of communication, complacency, lack of knowledge, distraction, lack of team work, fatigue, lack of resource, pressure, lack of assertiveness, stress, lack of awareness and norms. o Is there a way to mitigate this problem? We can’t avoid the error but we can minimize the error by evaluating, investigating, observing the aviation organizations with questionnaires or opinionnaires so that the organizations can identify whether they are working in ergonomic society and safety culture. 5. If you could give one recommendation to other airline professionals in terms of Quality and Human Factors what would that be? Since the human factor training is required by FAA and EASA regulations in aviation organization, I recommend that airline professionals should establish and implement the quality and internal human factor program by understanding the human factor concept, principle and methods as human error prevention to avoid accident and incidents. Did you enjoy this Q&A Respond to this email, we would like to hear from you.